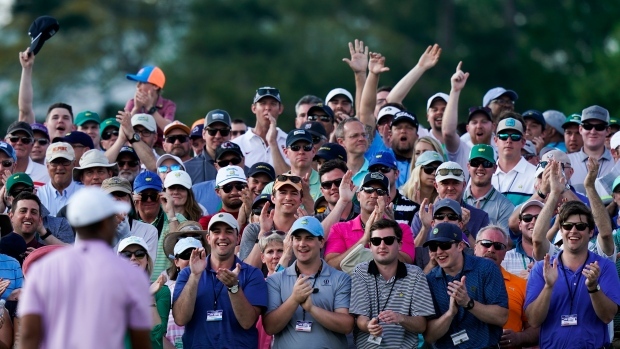 AUGUSTA, Ga. — Tiger Woods briefly claimed a share of the Master lead, only to have Francesco Molinari grab it all to himself a few minutes later. Four-time winner Woods rolled in a 7-foot birdie putt at the 16th, sending roars cascading across Augusta National as he moved to 11-under for the tournament. That was good enough at the time to pull even with Tony Finau and Molinari, the reigning British Open champion. But back at the 14th hole, Molinari made an 8-foot putt for his third straight birdie, pushing his score to 12 under. The 43-year-old Woods hasn’t won the green jacket since 2005, and he’s been seeking his 15th major title since winning the 2008 U.S. Open.